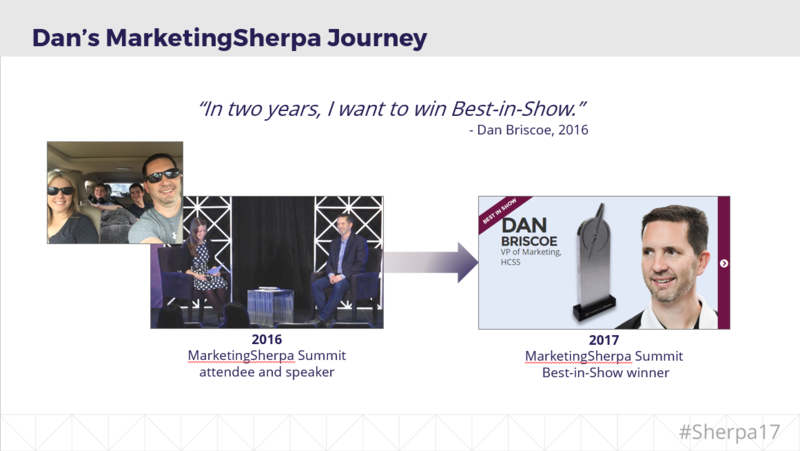 MarketingSherpa Summit is all about what you’re able to take home with you and apply to your marketing to see improvements with customers. Whether you attended Summit 2017 or not, these five takeaways from some of our B2B sessions can help you implement tactical changes on both a small and large scale. 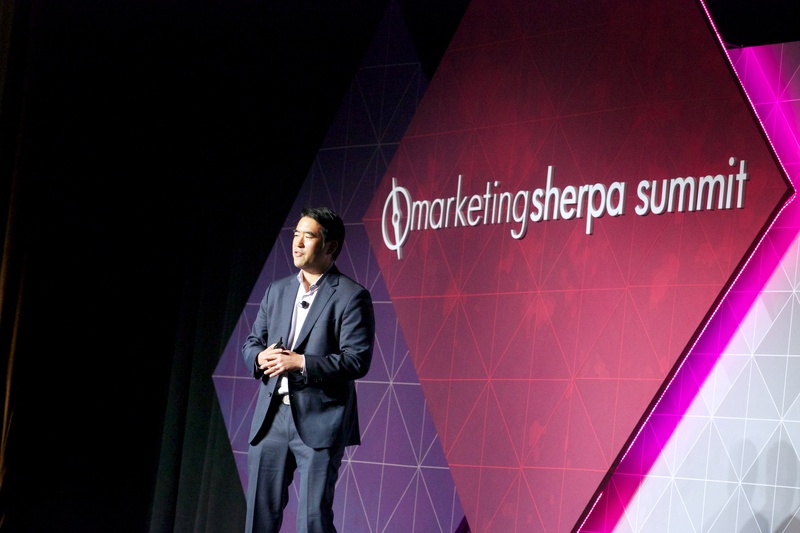 We talk about customer-first marketing a lot — and never more than at MarketingSherpa Summit. That’s when it becomes real for us, too. When we get to see our year-long project put in front of our readers and attendees. It starts off with planning the show floor and goes all the way through each session and piece of content, where we try to imagine every attendee’s journey and how they can maximize their time with us. Most times, this means taking ourselves out of the equation and figuring out how we can bring attendees together. From the first session of Summit, Flint McGlaughlin, Managing Director, MECLABS Institute, is getting people working together and collaborating. Sometimes using unconventional means — like this year, where he had attendees playing with Legos as an exercise in understanding how small our range of perception can be. Last year, McGlaughlin spoke in his keynote presentation about the marketer’s blind spot. This year, he inverted that concept by focusing on the challenge marketer’s face with a prospect's perception gap. Marketer’s know their own brand and product so well that the value is easy to see. Customers, however, are starting from the beginning. Being strategic with the first touchpoint they see can have a tremendous impact on how they react to the second. “To win a customer, we must carefully guide the prospect’s perception process,” McGlaughlin said. Observations: Reality is not directly or fully apprehended; it is approximated in a perception process. Value is derived from a limited view of reality, and thus it is often appraised differently. Implications: If we just presume value, prospects may undervalue our offering. We must carefully guide their perception. Applications: Stop making claims of value and start fostering conclusions of value. Stop relying on a brand promise and start creating a brand expectation. When Dan Briscoe listened to his CEO talk about how frustrated he was with the perception of the construction industry in this country and how he felt his customer’s pain in not being able to find and retain employees, it was the beginning of a beautiful customer-first campaign. Briscoe, who is the vice president of marketing at HCSS, a construction software company, knew that if he and his team could find a way to solve that pain point, they’d have the executive buy-in to make it happen. So, they did was exactly that — and it won them the MarketingSherpa Summit Best-in-Show Award, as well as a featured speaking slot. 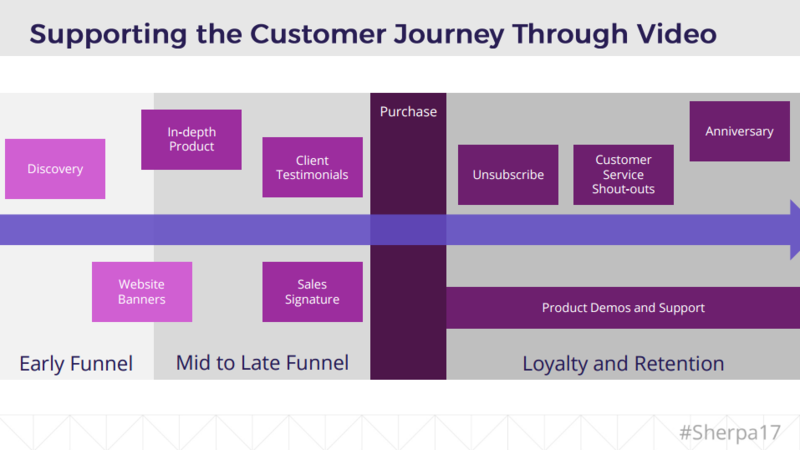 On the Summit stage, Briscoe detailed what followed a customer-centric effort where he and his team “got over [themselves]” and forgot about the sales and marketing obsession to focus only on the company. They quit trying to show how innovative their products were and learned to make the customers the true hero. HCSS knew its own challenge — they’re competing against multi-billion dollar corporations, ERP and accounting vendors and venture-backed software companies for a voice in the industry. The customer’s challenge was that they were struggling to find and retain good employees. By focusing on solving the customer’s problem, the team knew they could ultimately solve their own. 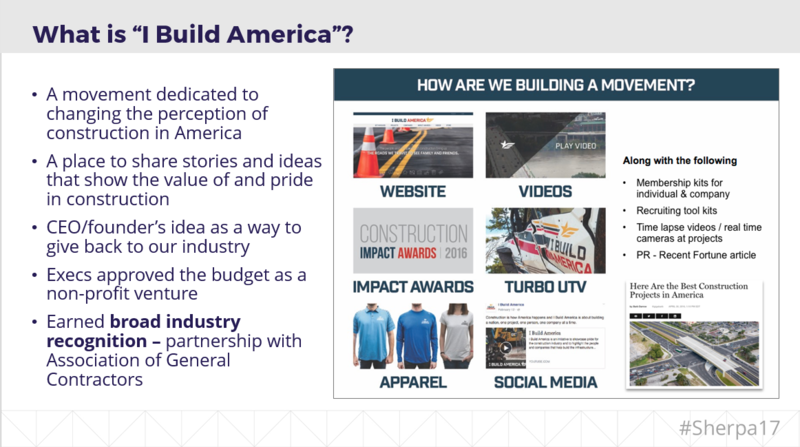 They did this through the “Most Interesting Project” and “I Build America” campaigns, which rallied customers together by putting a content spotlight on the people and projects in the construction industry. Part of those projects was the Construction Intern Awards, which gives $50K in scholarships to 17 construction interns, which not only helped to get a younger generation excited about construction, but got veterans into the spirit as well. 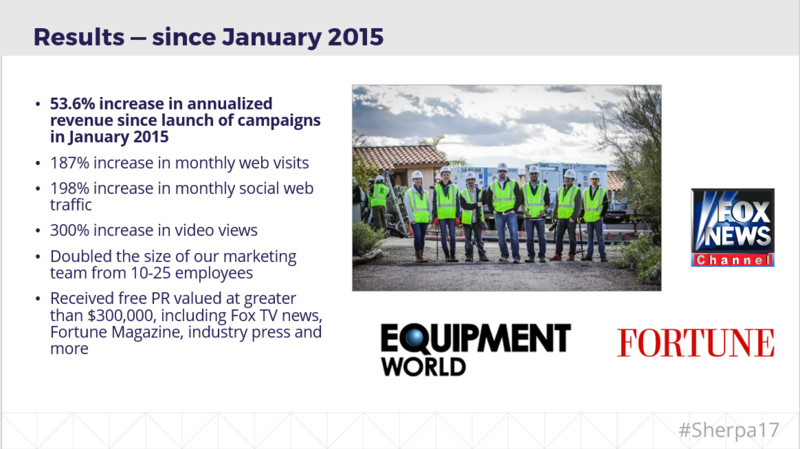 “They’re as proud of their interns as they are of their projects,” said Briscoe, when talking about the jump in web visits from around 30,000 to 100,000 after the launch of the Awards. That wasn’t the only project to stir up emotion for construction customers, according to Kara MacDonald, Director of Marketing Operations, HCSS, in her Best Practices session. The “Most Interesting Project” campaign, which pit construction teams across the country against each other in a March Madness-style competition, had “a bunch of big burly guys in there, construction workers, who were in tears because it had such an impact on them,” she said. During his keynote session that closed the first day of Summit, Jeff Ma, a member of the famous MIT Blackjack Team and the inspiration for the main character in the book Bringing Down the House and the Kevin Spacey film 21, taught us a thing or two about gambling. The best part — Jeff Ma isn’t a gambler. That’s because every move in blackjack has one correct decision. It’s just about understanding basic strategy, and implementing it. Remove human instincts, or “gut feelings,” and you will stack the odds in your favor. Just swap out the word “blackjack” for “testing,” and you can use strategy to help understand what your next move in testing should be. Currently the senior director of analytics at Twitter (after selling his startup to the social network) and a former predictive analytics expert for ESPN, Ma spoke about how to use data and analytics to come out on top with customers. By using data to overcome emotional biases, Ma said, not only can marketers win big with customers, but they’ll also build influence within their organizations. It all begins with increasing your odds by using basic strategy. One common mistake people fall prey to is omission bias. Basically, people don’t want to be perceived as the agent for harm to themselves — or their company. As Jeff put it, people would rather make a decision with a lower chance of success if the “dealer” or “fate” beats them, rather than going with a higher chance of success that, if it fails, will mean they’ve made a “bad” decision. Or to put it in Vegas terms: big risk, big reward. Marketers need to approach testing with an understanding of the difference between the right decision versus the right outcome. Win or lose, a decision fully informed by data was “absolutely correct,” he said. Like in blackjack, when testing, marketers can make better decisions by keeping this long memory in mind, avoiding loss aversion and group think. “You can’t make decisions to avoid conflict. Otherwise, you’ll never be able to innovate,” he said. This is the philosophy of focusing on “the process over the results,” he said, and fully trusting the process — even in the face of a few unfavorable tests. Blackjack is a beatable game because what you see impacts what you’re going to see, Ma added. It’s a game “with a memory like an elephant,” he said. That’s why it’s important that marketers understand a scientific approach to testing and data. What that means, he said, is taking a long-term perspective. Having a long-term perspective and planning for being data-driven is vital. What separates the “winners” in testing is a dedication to sticking to the plan and believing in the system. Ginger Shimp, Senior Marketing Director, SAP, and her team have 19 industries to cater to and create content for. 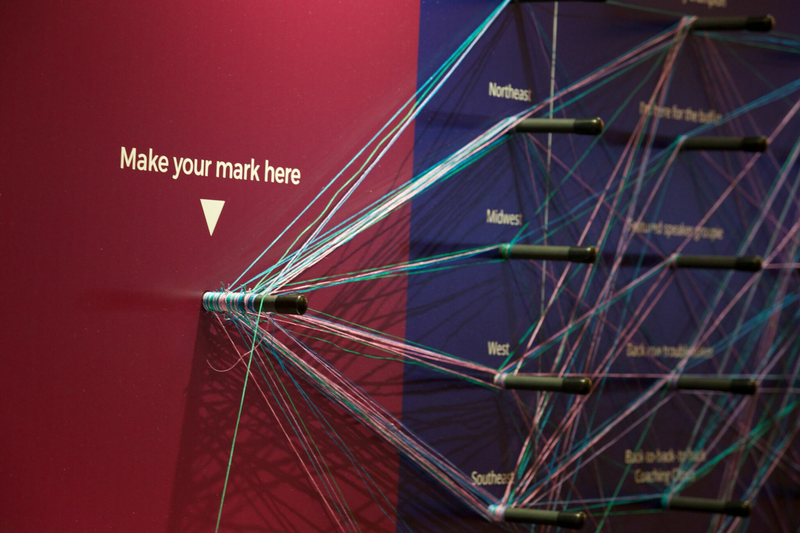 “The challenge of content is you must be an expert — to people who are experts,” said Shimp. In her Reader’s Choice Award session, Shimp described how she and those working with her (across many teams) had to communicate complicated solutions to these complicated industries in which their customers were experts. To serve them compelling, complex and correct content, she set up a “Tiger Team” of volunteers who had the time and drive to dedicate to producing it. The first thing they realized was the need for “an online library of sorts,” she said, so they set up a digital content hub in order to speak directly to each of those customer sets. 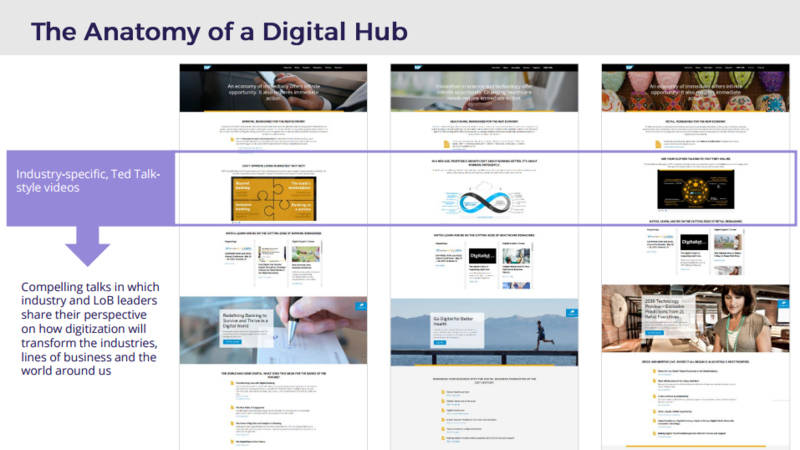 Within each of these hubs, the team focused on creating incremental, bite-sized, digitally native assets and amplifying existing content through all digital and existing channels. Inside of each of these hubs, that content had to speak to chief information officers, chief technology officers, chief digital officers, chief marketing officers, among many other digital titles. “We had the podcasts, the infographics, and we had everything that you could read and all kinds of videos. The next thing we had to ask was, did we have all of those for every level of buying, and did we have it in every language,” Shimp said. Because different people digest content differently, the team decided to make it work for different learning styles — this is where the concept of a content “chop shop” came from. The team made sure that content was in written, audio and visual formats so that customers could choose the best way for them to consume it. A piece of content was also always dropped into another piece of content that lead back to the original. As for the ideas for the new content they were creating, the team mined Google Analytics as well as conducting customer surveys to determine what subjects were of the greatest interest. One of the biggest challenges for your company when it comes to video marketing, according to Max Anderson, Video Producer, Nextiva, is the perceived lack of expertise, equipment and time. Nextiva, a unified communication’s platform, including cloud VOIP, has an 18-person team in house focused on customer and product marketing, web development and video production. Not exactly a full production house, and yet the video marketing they produce is exemplary. Video can be used to effectively support customers during every stage of the funnel, he said. During the discovery phase, Anderson said, you can introduce your product and service, even introducing customers to your staff by including them in the video. “Fun videos perform much better higher in the funnel,” he said, explaining that the discovery phase, should be primarily informational. In the mid-to-late funnel, videos should focus on in-depth product and service dives and client testimonials, he said. This information comes just before the purchase point, so these videos should provide the information necessary for customers to take that next step. In this stage, recurring characters (employees) resulted in an increased clickthrough rate for Nextiva, Anderson said, and testimonials and customer profile videos helped to increase third-party credibility. When it comes to internal talent, he said, it’s as simple as asking around to see who is interested. From then on, just do everything you can to make sure they’re prepared and comfortable. “On-camera talent is only as strong as the director,” he said. For all of these videos, he said, while an ideal setup is great, it’s not necessary. Make it look as professional as possible but remember that the most important aspect is providing valuable content. Really he said, when it comes to developing relationships with existing customers, it’s about finding good stories within your company. 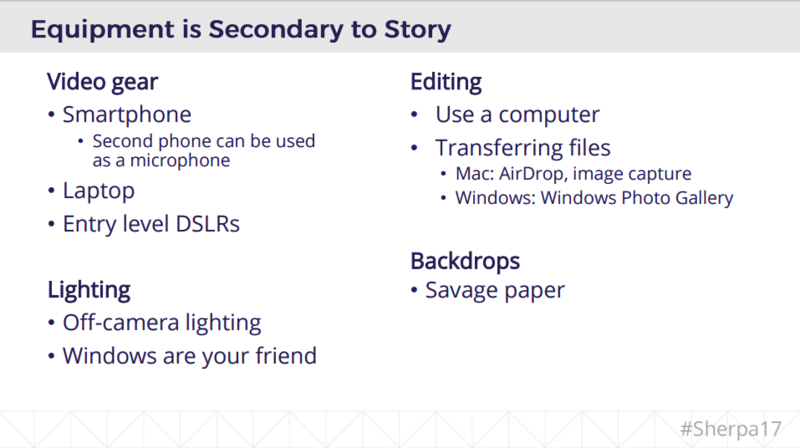 Every story has three acts, he said, starting with a short introduction, moving onto the juicy content, and ending with an enticing call-to-action. While things may start off shaky, he said, it’s vital to learn from your mistakes and keep making videos. Upgrade equipment as needed but “don’t go crazy out of the gate. Start small and build up,” he said. Missed out on Summit? Get the presentation slides from each session.